New projects abound… Katie and Vic are making oil stone boxes from some salvaged Mahogony. Alex is crafting a likeness of her Weimaraner ‘Spike’ and Ping is cracking on with owl relief carving number 11. 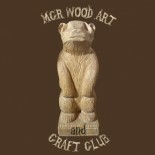 This entry was posted on January 22, 2013 by mcrwacc in wood carving and tagged adult learning, art and craft, club, craft club, life long learning, manchester, night class, oil stone box, pyrography, wood carving, wood turning.